We aim to provide the latest beauty and holistic treatments by highly qualified and experienced therapists. This very successful salon has been providing the people of Aberdare with the latest and most relaxing of treatments for over 20 years. Managed by proprietor Debbie Jones and a team of highly qualified therapists Mirror Image Beauty provides the widest range of beauty and holistic treatments imaginable. From waxing to a range of massage treatments, there is something for everyone. Even the Gents! Click here to view a map and opening hours. 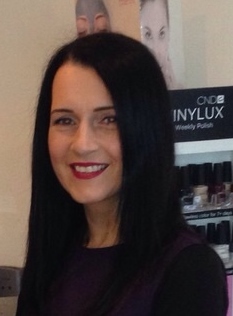 Debbie is a fully qualified therapist, Nail technician and educator. She opened the doors to Mirror Image in May 1997 and her business has become a popular and multi award wining establishment in the Cynon Valley. Specializing in all nail treatments Debbie offers the latest brands and treatments to her clientele and ensures that all therapists are fully trained and qualified in the treatments that they provide. She says ‘Professionalism is extremely important to me and I want our clients to feel that they are in safe hands when they visit our salon. I like to offer treatments that clients are familiar with and that are well known within the beauty industry’. Debbie is currently on Maternity Leave so please ask for Joanne Riden (Client Relations Manager) in the event of any problems. Amy has been a therapist at Mirror Image for 16 years and although she spends most of her time at a nail desk she offers nearly every treatment on the treatment menu. A talented therapist in all aspects of beauty and offering almost all of our treatments, Amy can transform your nails into elegant, shiny talons or pamper you into a deep sense of relaxation. Amy can make you feel ‘like a new woman’ with her expertise and calming nature. Jo joined the Mirror Image team as a nail technician four years ago and has since trained in Lashes enhancements, spray tanning, waxing and Facial therapy. Jo’s real passion is Shellac manicures and she enjoys mixing various colours to create the perfect shade for her clients. Jo’s loves to add glitter and diamantes to her client’s nails and she believes that one can never have too much sparkle added to get male viagra. 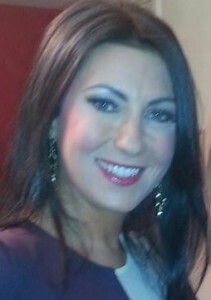 Jo is also trained in HD Brows, St Tropez spray tan, waxing and all lash treatments. Alex joined the Mirror image while training to become a level 2 therapist and has returned to us as a full time member of the team. Alex has qualifications in Beauty therapy and attended Cardiff University where she gained a degree in Complementary therapies. She has ‘Magic hands’ and can soothe even the tightest muscles into a relaxed state. Alex also loves to try new treatments and is becoming an excellent nail technician and make-up artist, and she is an official HD Brows Stylist. Alex is currently unable to offer Aromtherapy based treatments as she is expecting her first baby. Joanne is the ‘Welcoming Commitee’. She is the voice at the other end of buying provigil, booking client appointments and organizing our training diary. Joanne keeps us up to date on social media and ensures that the salon is running smoothly. 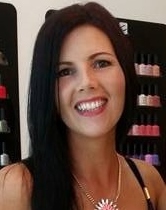 Joanne will always greet you with a pleasant smile and a helpful manner, and being the first person the clients see, she is always at the ready to model the latest nail colour or newest shade of tan. If we do it, Joanne has had it done. Joanne will answer all questions and deals with any problems no matter how simple or complicated they may seem. 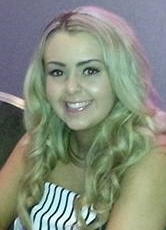 Shannon has been with the team working as a Saturday junior since she was 15 and is at University studying Criminology. She is a talented nail technician and spends hours creating bespoke nail designs for clients wishing to add something more interesting to their nail polish. Shannon enjoys creating long celebrity inspired talons with plenty of colour. 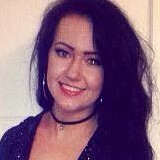 Also trained in spray tanning, lash and brow treatments and manicure and pedicure Shannon can ‘Glamorise’ just about anyone. Louisa is our latest addition to the team. 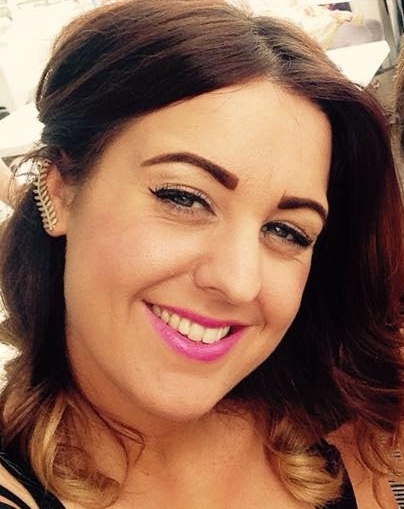 She is currently studying NVQ Level 3 Beauty Therapy and has already proved herself to be a valuable member of our team. Currently offering all basic treatments Louisa has already completed Beauty Guild accredited courses in Spray tan, Threading and Shellac. Louisa is also an amazing Lash technician and has trained with Nouveau lashes to become our most poplar lash service provider. She has excelled in her lash training and specializes in both Extend (Classics) Hybrids and SVS lashes. She is also qualified in Acrylic nail extensions and is currently offering the service at a cheaper price to gain experience.